Unless you’re going for the world record of longest nails and never ended up cutting them, you’ve probably had to deal with an ingrown nail at one point or other while clipping them. This problem can be a painful and uncomfortable event, so we want to help you deal with it as easily as possible! Unfortunately, you usually have to yank out the nail to deal with it. This is going to sting, but it’ll save you from the future pain you might’ve had. Check out these tips to help make the process as easy as possible, and have your nails back in perfect shape. 1. Cut your nails properly. One of the best ways to deal with ingrown toenails is to stop them from happening altogether. If you don’t have the right kinds of clippers, cutting your toenails can be a painful process. 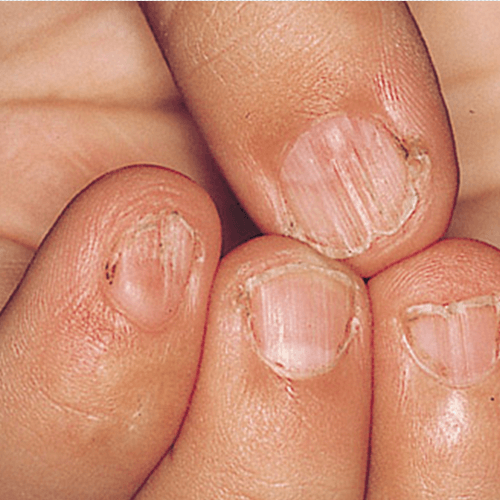 If you end up cutting the nails and leave sharp or jagged edges, they’re more likely to become an ingrown nail later on. 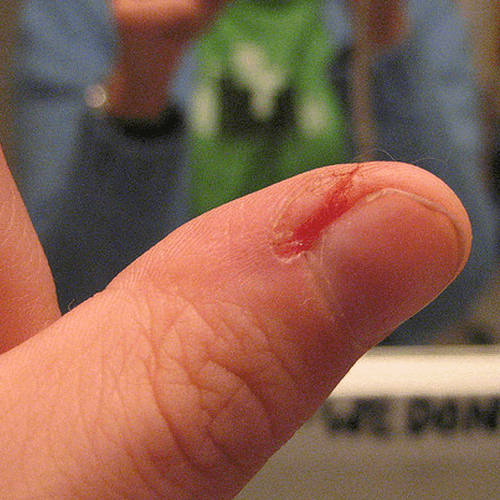 On top of that, it’s actually better to cut your nails to a flat edge to avoid ingrown nails. Most people cut them in a curved shape which seems normal, but can actually cause more problems later on. 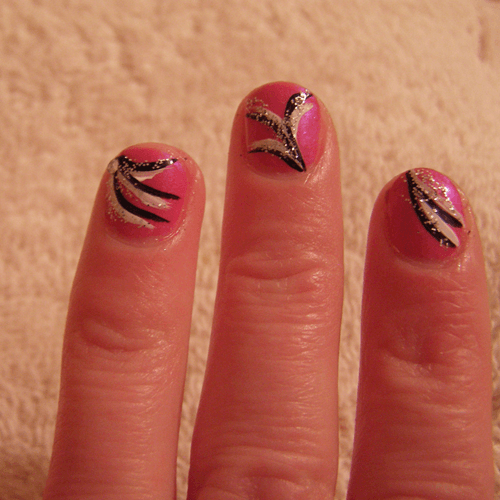 Grow out your nails a bit longer and cut them into a straight edge. 2. Give your nails some breathing room. Whether you’re walking the runway in tight heels, or moonwalking like MJ; tight gloves or shoes are going to give you ingrown nail problems. By taking away their space to grow, they’re more likely to grow into an awkward shape that fits whatever you’re wearing at the time. You can fight this by wearing some looser fitting gloves or shoes. They might not be the most stylish, but they’ll definitely help with the pain later on. Throw on the combat boots and big fuzzy mittens, and your nails will thank you later. There’s nothing quite like a nice foot bath, and as it turns out, these baths can help you deal with ingrown nails too. Soaking them in warm water by itself will help, but for better results you can mix in some Epsom salts. These salts work to soften the skin, which will make it easier to take out the nail once the salts have had the time to work their magic. Soak your feet in this solution for about 20 minutes, and repeat that 2-3 times a day for the most relief. If the Epsom salts aren’t doing the trick, you can also try mixing in some apple cider vinegar with warm water, and soaking your feet in that mixture. Apple cider vinegar fights off infections with its natural antibiotic properties, so mixing it with warm water can have great healing effects. 4. When life gives you lemons. This one might feel like pouring salt on the wound, but throwing some lemon juice onto the ingrown nail will help heal it quite a bit. Because of the citric acid, putting lemon juice on a wound is going to sting – a lot. If you can deal with the pain, you will see a lot of relief later on once the citrus has fought off the infection. For the best results, use a freshly squeezed lemon instead of a store bought mixture. The ones from the store usually have preservatives added that won’t have as good effects on the infection. Apart from the many health benefits of keeping a good diet, you can also help keep those ingrown nails away by eating right. Eating too many sweets or foods high in sugar actually weakens the enamel that makes up the nail. If the material is weaker, it’s less likely to grow in a natural form. It might end up bending or going off to the side if it’s not strong enough, so eating the right foods is important to keep those nails growing proper. Like any kind of infection, you want to disinfect it as quickly as possible to stop it from getting worse. There are many kinds of disinfectants you can buy at the local pharmacy, like hydrogen peroxide, which will stop the wound from getting worse. Take a cotton swab and dip it in the disinfectant. It’s going to sting a little, but apply it to the wound and then cover it up with a bandage. This might seem contradictory to the previous bit of advice saying to give it lots of room, but covering up the infection is also important for keeping out other germs from infecting it. If the pain is too much from wrapping the wound, you can use the disinfectant by itself a few times a day and try to avoid touching germ filled areas. One thing you’re definitely going to want to do is remove the nail that’s become ingrown. 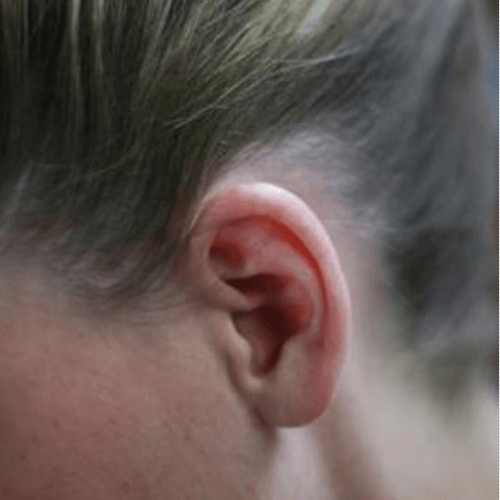 There’s less painful ways of doing it than yanking it out, so you might want to save yourself the trouble and try mixing in some of the previous tips to make it a less painful process. Sometimes this means getting rid of the entire nail on your toe, which isn’t something we would recommend you do at home. Yanking off the whole nail makes me cringe just thinking about it, so you would want to see the doctor to have it done for you. They will probably give you some sort of freezing first to help you deal with the pain, and then remove it as best they can. If the ingrown nail is small enough so that it doesn’t need to be completely removed, you can trim off a part of it to save you some pain. 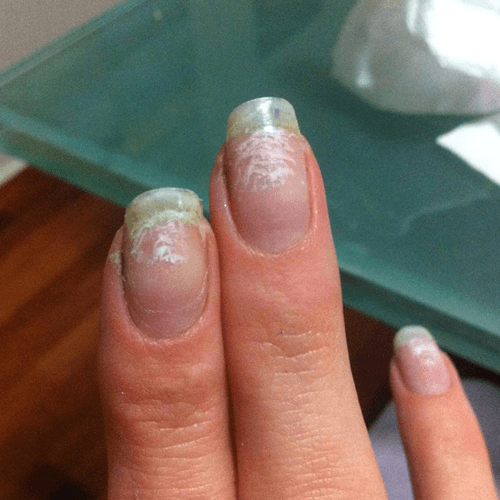 Make sure you’re using a good set of clippers to get rid of the part of the nail, or else you just might end up making things worse. Once you’ve managed to get rid of the ingrown nail, all that’s left to do is let it heal. It’s important to treat it right after removing it, or else it’s just going to become infected again. 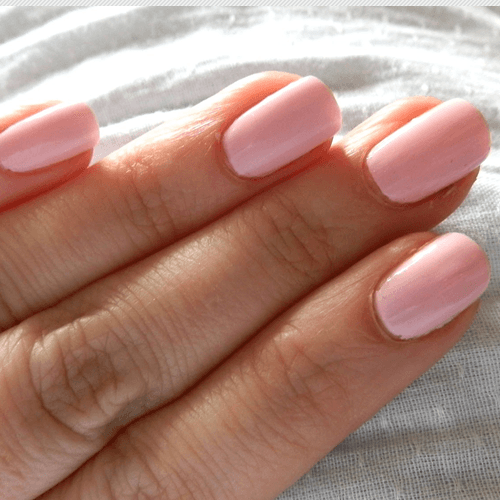 Deal with your nails right, and you can go wild with the nail polish again. Best of luck!